This contemporary hand crafted collection with strong clean lines is one of our exclusive in house designs. Locally made of solid Maple with a choice of 13 different stains, there are pieces for your whole home: Dining Room, Living Room and Bedroom. An optional rift cut white oak is also now available. All dimensions shown are within 1/4″ due to the seasonal effects on wood and the nature of handmade furniture. 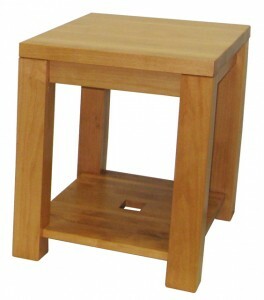 One of the design features of this line is that all tops are 5/4″ thick solid maple. All drawers are made from solid wood, using dovetail joints, and have full extension slides which enable the drawer to be pulled out completely. Built to order, this line can be fully customized to suit your needs. 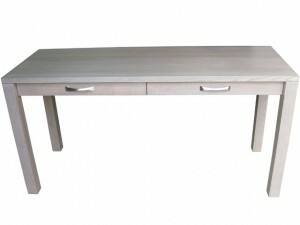 The dining table is a solid top design with the option of plug leaves for when you are entertaining. There are 9 standard dining table sizes to choose from, in addition we can build the Boxwood table to any size, and even counter or pub height. The matching server comes in 8 standard sizes, with many options to help personalize the pieces to your needs. To maximize storage, the Boxwood bed is available with under bed storage drawers, or if you prefer, without drawers for a lighter look. The Boxwood Line is all fully customizable. What does this really mean? 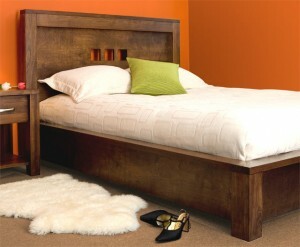 If our standard sizes don’t fit your space, we can customise them to fit. We can even partially alter the design. Do you want drawers instead of shelving, or vice versa? Do you prefer different hardware? We have a selection of other choices, and you are welcome to provide your own. Do you need holes drilled for cabling? Do you want solid doors rather than glass, or vice versa? Do you want the furniture to fit with an existing piece of your own? Provide us with a drawer, or chair and we will match the stain colour.